The Cisco 3500 series of access points is ideal for today's enterprise wireless applications, packed with the most advanced features in its class, this device will deliver the performance needed for heavy user activity. The 3500 series access points have the ability to reach 300-Mbps data rates. 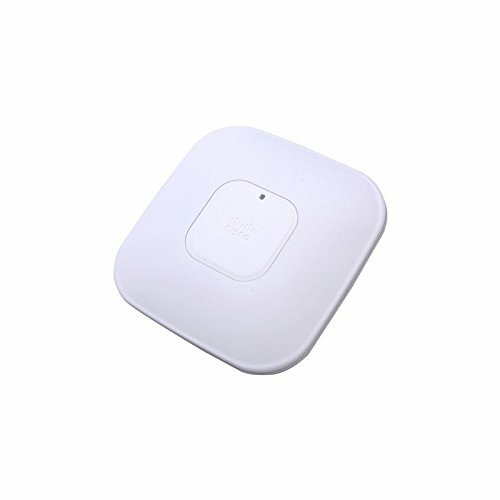 The interesting feature on the 3500 series access points is the ability to have a self-healing and self-optimize the network. This series is designed for offices, warehouses, factories, other rugged indoor environments. With 802.11n and MIMO technology, the 3500 series access points deliver the speed and expandability that you expect. Please note that a controller is required for this item. PoE Power Over Ethernet, power supplies sold separately. Requires a compatible WLAN Controller (sold separately).